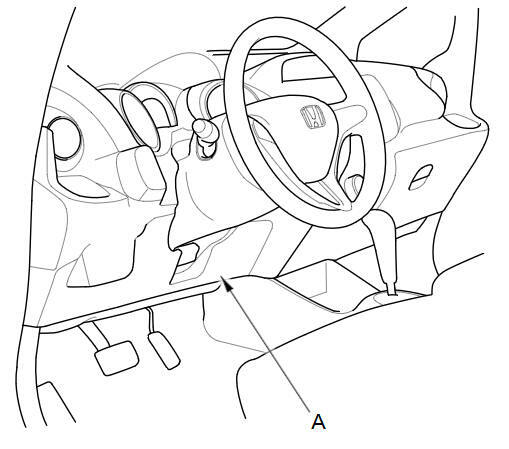 Do not insert your fingers into the installed throttle body when you turn the ignition switch to ON (II) or while the ignition switch is in ON (II). If you do, you will seriously injure your fingers if the throttle valve is activated. Make sure the ignition switch is turned to LOCK (0). Check for damage to the air cleaner. If the air cleaner is damaged, replace it. Clean off the carbon from the throttle valve and inside the throttle body with a paper towel soaked in throttle plate cleaner. Always remove the throttle body to clean it. Be careful not to pinch your fingers. To avoid removing the molybdenum coating, do not clean the bearing area of the throttle shaft (A). Do not spray throttle plate cleaner directly on the throttle body. Use Honda genuine throttle plate cleaner. Reset the ECM/PCM with the HDS. Select the ETCS TEST in the INSPECTION MENU with the HDS. 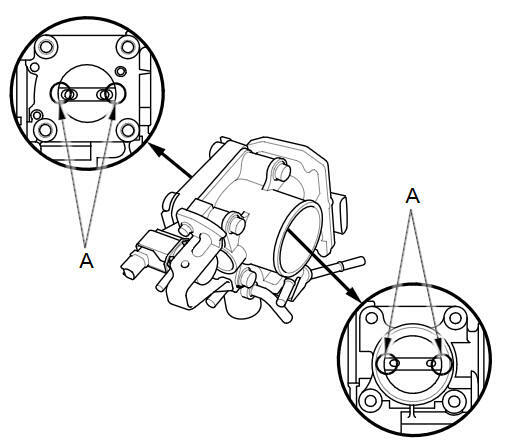 Select the TP POSITION CHECK, then clear the throttle position (TP) learned value. Turn the ignition switch to ON (II), and wait 2 seconds without pressing the accelerator pedal. Do the ECM/PCM idle learn procedure.